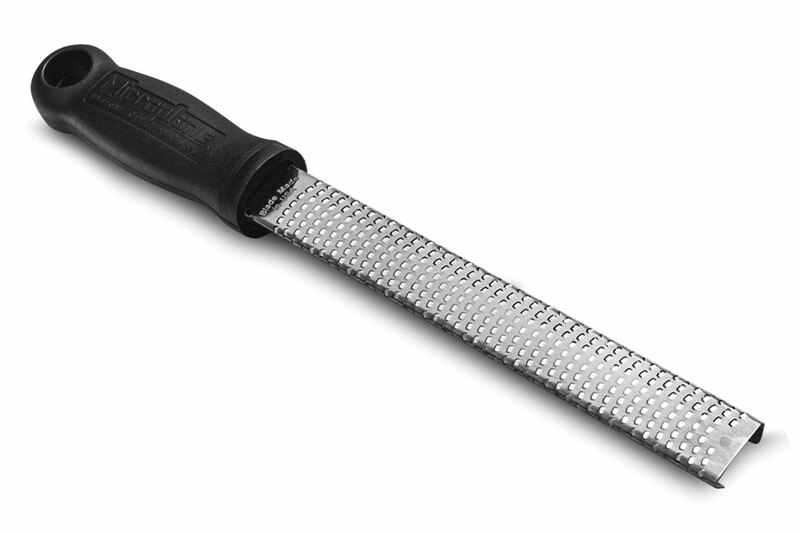 The Microplane Grater/Zester is the perfect addition to any kitchen! 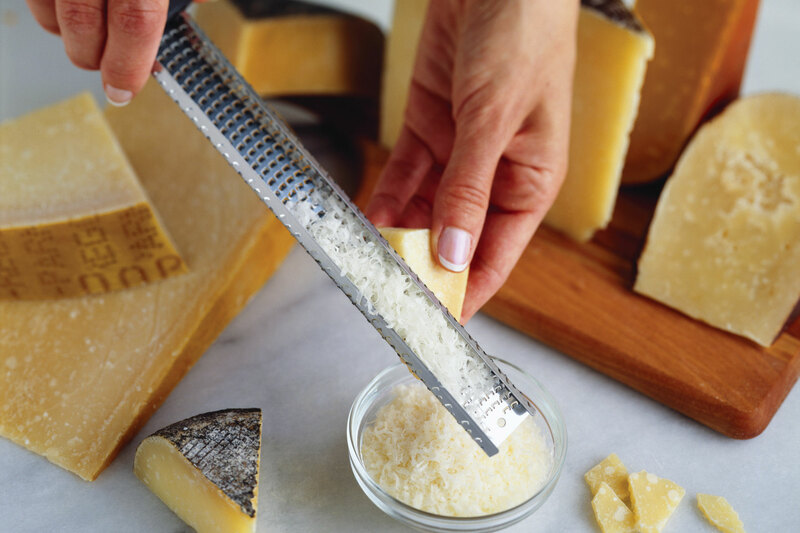 The photochemically etched, ultra-sharp cutting edges on the Microplane Grater can grate even the hardest parmesan cheese into fine, lacy wisps with ease. 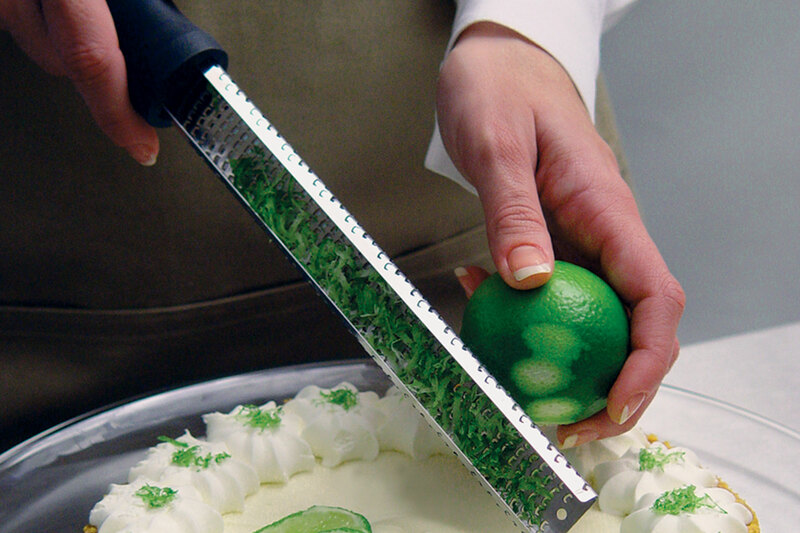 It is also the perfect tool for effortless citrus zesting to add natural flavors with no pith - just pure, perfect citrus zest. It even grates hard spices, such as nutmeg and ginger, quickly and easily. 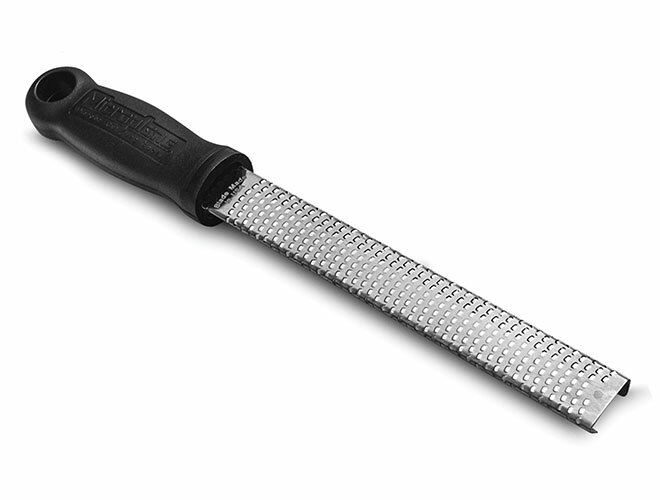 Due to its long and narrow shape it is extremely easy to use, allowing you to grate directly into your pot or onto a plate. It is long enough to rest on the lip of most bowls, and elegant enough to entertain at the table. It also comes with a slip-on cover to conveniently store and preserve the extra-sharp surface. Dishwasher safe.